The concept of restorative justice has been around for sometime. The idea is fairly straightforward. In the criminal justice context, restorative processes give victims the chance to tell offenders the real impact of their crime, to get answers to their questions about why they became vicitms of a crime, and an apology. Restorative justice holds offenders to account for what they have done, helps them understand the real impact of what they’ve done, to take responsibility and make amends. Restorative processes are also increasingly being used in schools, care homes and the wider community to address conflict, build understanding and strengthen relationships with young people. In these contexts it is also known by the names ‘restorative approaches’ and ‘restorative practices’. Research from the Ministry of Justice suggests that restorative justice can help victims come to terms with what has happened to them and can reduce the rate of reoffending by offenders. In November 2012, the Government published an action plan for restorative justice in the criminal justice system. It has also tabled amendments to the Crime and Courts Bill currently being discussed in Parliament, which will enable judges to defer sentencing a person convicted of a crime until after a restorative justice. As a consequence of this measure, restorative justice will then be accessible at every stage of the criminal justice process, from initial arrest through to prison, for those victims and offenders who are willing. Research also showed that the use of restorative justice was very patchy. It is the clear intention of the Action Plan that its use should become more widespread through the criminal justice system. In the book, I observe how difficult it is for governments to get the balance right when it comes to questions of civil liberty and human rights. The Coalition Government’s Protection of Freedoms Act was born of a belief that the previous Labour government had got the balance wrong. But the Coalition Government itself is struggling with this issue with two measures that are currently causing great concern in the civil liberty/human rights arena. The first is the Justice and Security Bill 2012. The issue that has drawn the fire of human rights groups is the proposed introduction of what is called the ‘Closed Material Procedure’ which would allow, in certain civil cases being hear in courts, evidence about the work of UK Intelligence services to be heard behind closed doors. The battlelines are clear and have been hard fought in the press and in Parliament. The Government argues that this is a practical way of admitting certain evidence to a hearing behind closed doors which it would not be in the public interest to disclose publicly; opponents argue equally strongly that this is an attack on the principle of openness and transparency in judicial proceedings that should be resisted at all costs. The second is the Draft Data Communications Bill which is currently the subject of pre-legislative scrutiny. The Government argues that the arrival of new forms of communication has resulted in the police and security services facing new challenges when it comes to keeping tabs on those suspected of serious criminal activity, who need new powers to deal with these challenges. Opponents argue that this is simply a ‘snoopers charter’ that will seriously undermine the right to personal privacy. These are both live measures that make clear how important the Parliamentary process is in ensuring that arguments for and against such measures are properly debated. The final outcome of both measures is as yet far from certain, but given the importance of the role of law in balancing the interests of the state against the rights of the individual, they provide excellent illustrations of the problem of balance. What do you think? Has the Government got it right? or has it cone a step too far? In an earlier blog entry, I noted the preliminary work of the Legal Education and Training Review. They have now published an essay by one of their consultants, Professor Richard Susskind on the future of legal education. 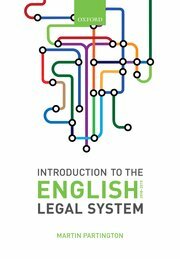 In my view, anyone engaged in legal education should read this – students, lecturers, professional trainers, practitioners. His principal argument is that the business and technological environment within which law is developing is changing so rapidly that the review must try to anticipate what the shape of legal education should be for meeting legal services that will be developed in the future. He fears that too many of those engaged in legal education neither know nor care about how the practice of law is developing, with the result that there may be more attention paid to the past and the present rather than the future. He urges law teachers and legal practitioners to develop much better interactions – practitioners coming into the law schools to bring academic subjects alive; law teachers sitting in legal practices to see how client demand and technological change is reshaping practice. He also wants law teachers to understand better the new types of paralegal practice which will be an important feature of the new legal services world. In October, the outgoing director of JUSTICE delivered an extremely thoughtful lecture on how legal services for the poor should develop, following the enormous cuts that will result from the Legal Aid, Sentencing and Punishment of Offenders Act 2012. In it he argues that there is no point in simply hoping that a future government will restore the cuts now being made; that is not going to happen. Instead, we have to think much more creatively about how legal advice and support services are delivered – more imaginative use of Information Technologies, for example; and also more more thought about how we may law more understandable – so that people can understand more of their rights and obligations without the need for lawyer interpreters. My own beef is that recommendations the Law Commission made relating to clarifying the terms and conditions on which landlords and tenants rent property – which affect a third of the population – could have re-engineered this very important and practical area of law, were not taken forward by government. The more general point is that if governments continue to enact protective legislation – which is an important past of their work – it must be done in a way that is meaningful to the people directly affected, not just to the lawyers who will no longer be on hand to assist.